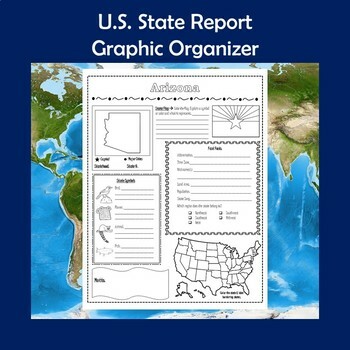 This set of research graphic organizers includes all 50 states and is great for state report assignments. Graphic organizers are a perfect way to ensure your students are keeping their information organized and focusing on the most important aspects of the state they're studying. 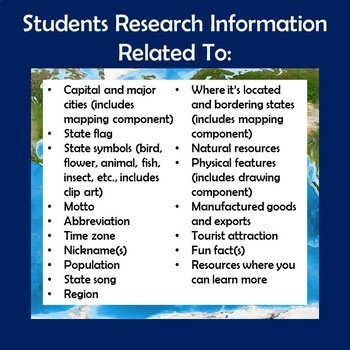 This activity is great for reports and projects and can easily serve as a note-taking tool for an essay or presentation. It can also serve as the research project itself! The graphic organizers are perfect for integrating literacy into other subjects, and they allow students to go beyond reading to really interact with the chosen text. 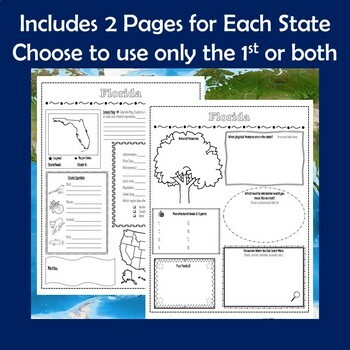 These 2-page state graphic organizers include state-specific clip art that adds extra coloring and mapping components for students. 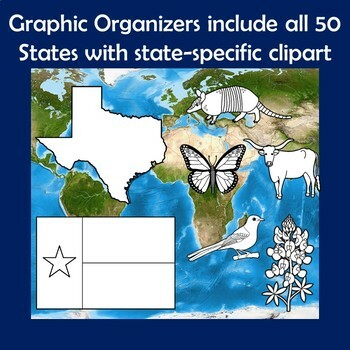 A United States map is also included so students can color in their state and label the bordering ones. The graphic organizers come in black and white, but you can email me (katie.loftin@gmail.com) if you need a color set. To see all of my other products, please visit my store!